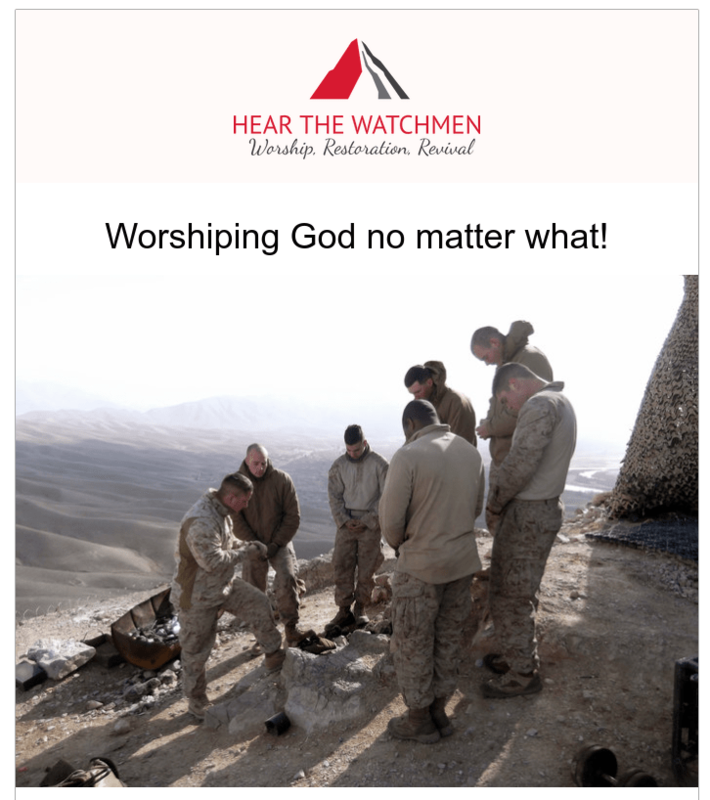 Each morning for nearly a year these men gathered to Worship Jesus on the mountain tops of the Muslim Extremeist home turf. They “Feared no Evil”. They were there to make sure you could Worship Jesus FREELY AND IN PEACE across the United States. Help bring a Veteran like this to Hear the Watchmen Knoxville TN Sept 30 through Oct 2nd to Worship in peace and hear the Word of God and to be Baptized by Pastor Paul Begley, Coach Dave Daubenmire and others. Please help us Bless our Veterans. Because they already paid the price now it’s our turn.